Have you lost image files from your USB Drive? Don't worry! 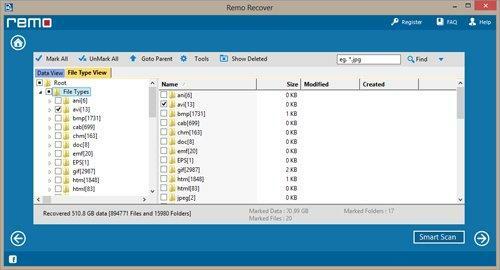 By using Windows file recovery software, you can easily recover deleted and lost files from USB Drive. USB drives are most frequently used to transfer files from one device to another device. USB drives are commonly called as thumb drives, pen drives etc. USB drives can be directly plugged into your computer via USB port. USB drives are very small,portable and durable storage devices, which can store different types of files. USB drives have a maximum data transfer speed of about 100 Mbps. But, generally USB drives operate in the range of 18-28 Mbps and uses flash technology to store large amount of data. When you connect the USB drive to a computer, Operating system recognizes it as a separate disk drive. If you want to remove the USB drive from your computer then you should use an appropriate on screen eject control like “Safely Remove Hardware” icon which is located at the right side of the Windows task bar. Most commonly, USB drives are used to transfer photos from one system to another system. In a few cases, you may accidentally remove the USB drive from the computer while transferring photos may result in loss of photos. 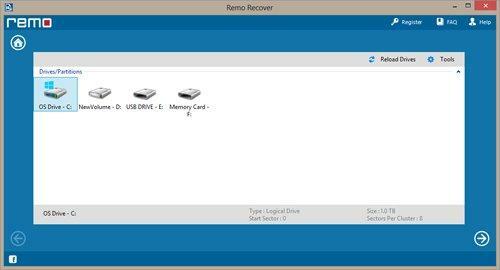 You can retrieve photos from corrupted USB drive using the relevant recovery tool. In order to avoid loss of your memorable photographs, take a backup of essential photos. Always, use “Safely Remove Hardware” icon. Make use of UPS to avoid loss of photos due to power failures. If you have lost the image files from USB drive then stop using that corrupted USB drive and use efficient recovery software. 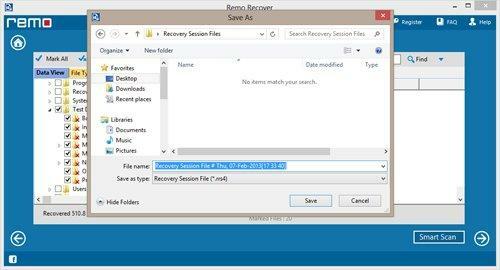 Windows file recovery software retrieves lost or accidentally deleted photos from corrupted USB drive. Along with photos, this tool can also restore different types of files like audio files, video files, text files etc. If you have accidentally formatted USB drive, then also you can use this application to restore lost pictures from formatted USB drive. It even supports data recovery from various kinds of memory cards, apple iPods,USB drives, FireWire drives, etc. This software has find option which locates and restores lost photos quickly. Download free demo version, where you can preview recovered photos using preview option. 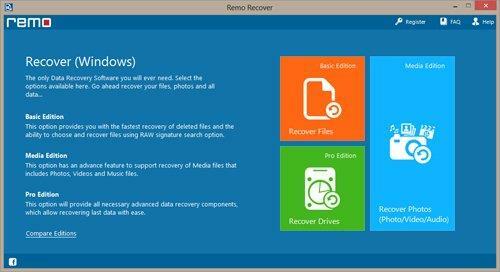 Step 1: Download and install trial version of Windows Recovery software on a healthy system to restore files on Windows. Then connect affected USB driveto the healthy computer and launch the software. The main screen appears as shown in the Figure A. Select "Recover Photos" option from the main screen. 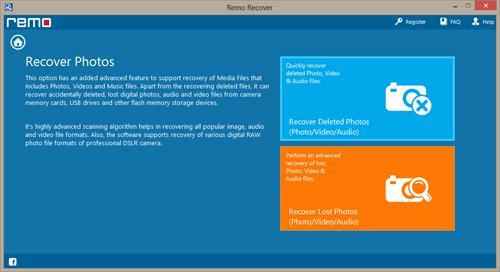 Step 2: After selecting the recover photos a new window opens from which you need to select "Recover Deleted Photos" option as shown in Figure B. Step 3: The software detects all the logical drives connected to the system and displays it. From the displayed list of drives, select the USB drive from which you need to recover deleted picture files and click on "Next" option as shown in Figure C.
Step 4: After you click on “Next” the software starts scanning the drive to recover deleted or lost files from your Windows OS. Once the scanning process is completed you can view recovered data using “Data View” or “File Type View” options as shown in Figure D.
Step 5: You can preview the recovered image files and can save your scanned data by using “Save Recovery Session” option. In order to save the recovered result you need to activate the full version of the software and then use the “Open Recovery session” option to re-load the previously scanned data and save the recovered data on a CD / DVD drive or any other drive as shown in Figure E.